Inside Garden City is delighted to introduce new guest blogger Tia Bonacore. Tia is on the blog today with a piece on one of her favorite local places. If you are looking for a way to keep your mood boosted and your health in check after the holiday season, here’s a thought…It’s ‘Food for Thought’ on 7th Street- Garden City’s very own “oasis for health and well being”. 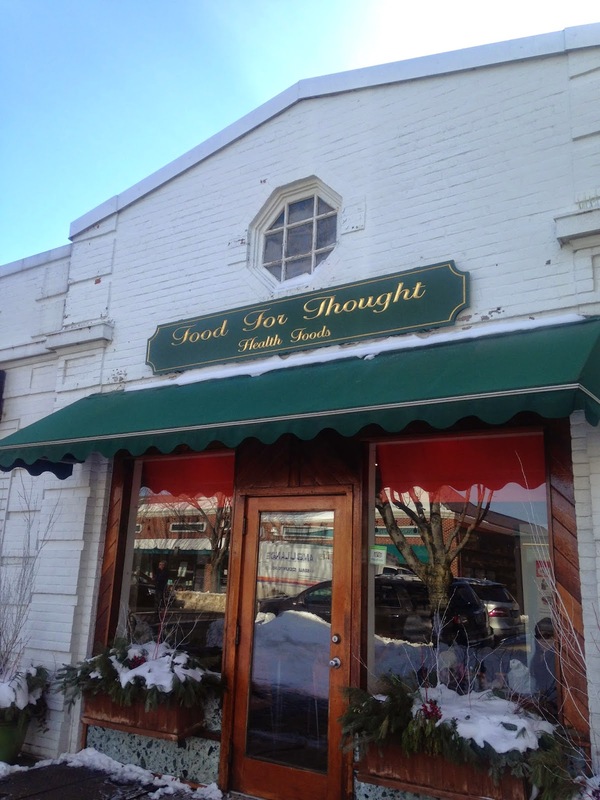 The Food for Thought health food store has been serving freshly made juices, salads and other organic foods to the Garden City community for over 36 years, yet it still feels like the hip new place that everyone is buzzing about. The staff is both knowledgeable and courteous. They also sell a range of hard to find organic beauty products and essential oils. The owner Anju was pleasant as she answered customers’ questions while working the register herself. I am a fan of their food and exceptional customer service but I also appreciate the fact that all of the items on the menu are listed clearly if they are vegan, soy/dairy free or gluten free. Whatever your dietary concerns are, there are many options to choose from. If you’re feeling sluggish from an evening of over indulgence… try the “Super Detox” $6.99 for a 12 oz and your body will thank you. My personal favorite raw juice is called the “Rejuvenator“. It consists of green apples, carrot, ginger, beets and lemon..a wonderful way to keep your skin glowing during the dry winter months. If juicing is not your thing, then try one of their many freshly prepared hot entrees like the quinoa sweet potato patty. It’s delicious and will give you enough fuel to get through your next power yoga class. Now that’s food worth thinking about! Frequent customers can rack up reward points for discounts. “The Rejuvenator” Carrot, Apple, Beet, Ginger & Lemon. Eat your colors! 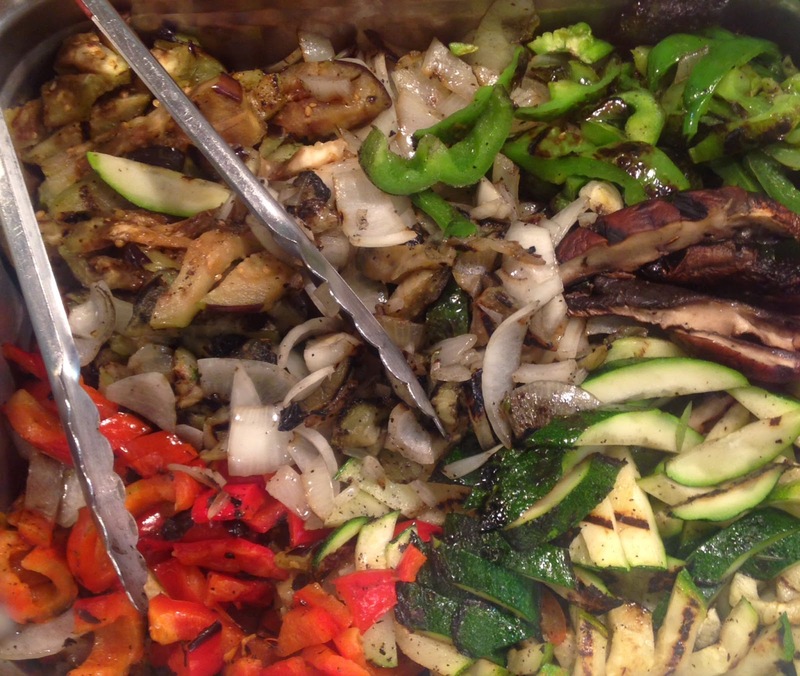 Grilled Veggies with seasoning. Thanks for reading Inside Garden City. Please like us on Facebook.